We all see colors a little differently so that complicates finding the perfect red based on other people’s opinions. The most common observation is that a red is too orangey, too brownish or blue. 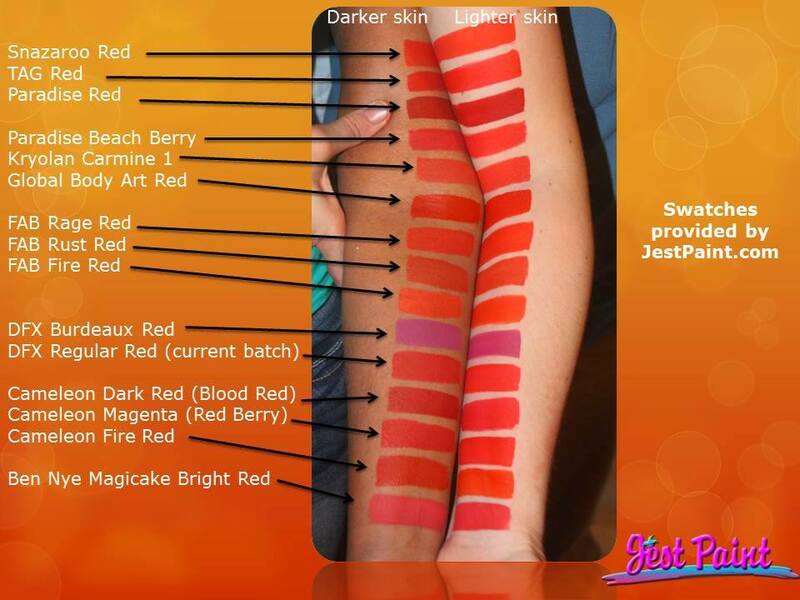 If a red face paint is labeled Fire, in most cases it is a little more on the orange side. 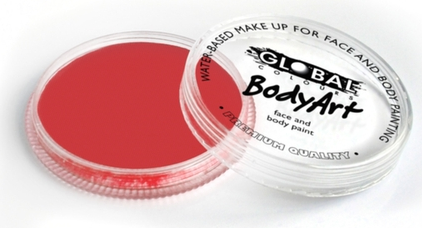 Cameleon Fire Red Face Paint is a good example of an orangey red. If it is called Bruise, Blood Red or Deep Red then it probably has a little blue or brown tint to it. If it is called Berry, it could either be pinkier or a little on the orange side. You can mix white with your red paint to see if it turns pink, orange or magenta to get an even better idea of what pigments are in the base. Global Body Art Red Face Paint is the red of my dreams because it seems to be a true red to me, and based on the feedback from tons of face painters, a lot of people see it as a true red as well. 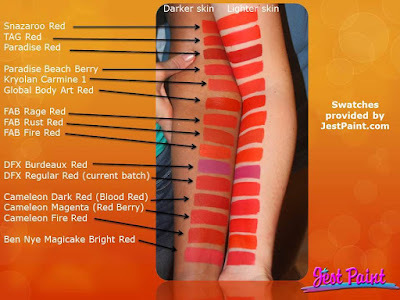 We swatched all of the reds that we have on two different skin tones so that you can see how the hues in someone’s skin can also affect the way the red face paint looks to the eye. 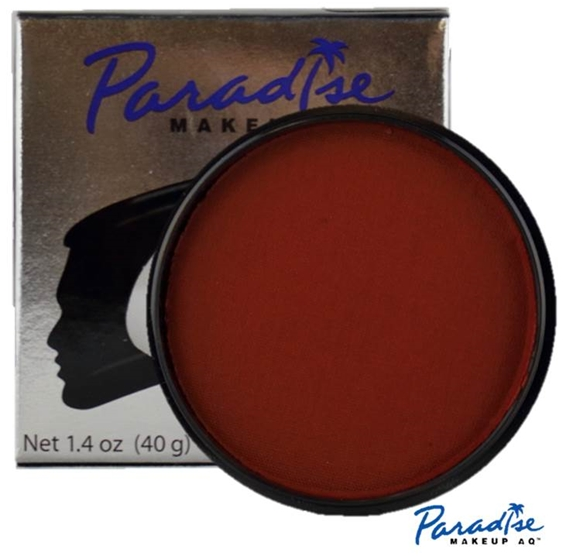 Orangey reds will look even more orangey on darker skin, and can tend to fade into skin color. This blog is great! I remember when I started and I used Tag face paint, which is good face paint. The issue I had with them was the Red face paint stained the kids face harsher, so it was harder to get off afterward. Recently, I started to use Global and I had better feedback from my clients, along with when I tested it on myself. I have not used Paradise yet, but I will see about ordering this next time around.